Salmon? C’mon and on and on! You want me to stop this COOK TO BANG madness? Never! Why would I when it makes the world a better-fed and less sexually frustrated place? The mayor of Bangor, Maine just gave me the key to the city. I handed him a secret recipe to bring some sexual healing back into his marriage. Apparently banging has returned to Bangor. I don’t like to think of myself as a hero, more of a civil servant. CTB is a community service that is no way court ordered from a conviction for public indecency when I broke into Martha Stewart’s kitchen while she was in the slammer and broadcast my own cooking and banging demonstrations. All three of those girls were legal, consensual and it was their idea! Anyway…it’s good to be commended instead of condemned. 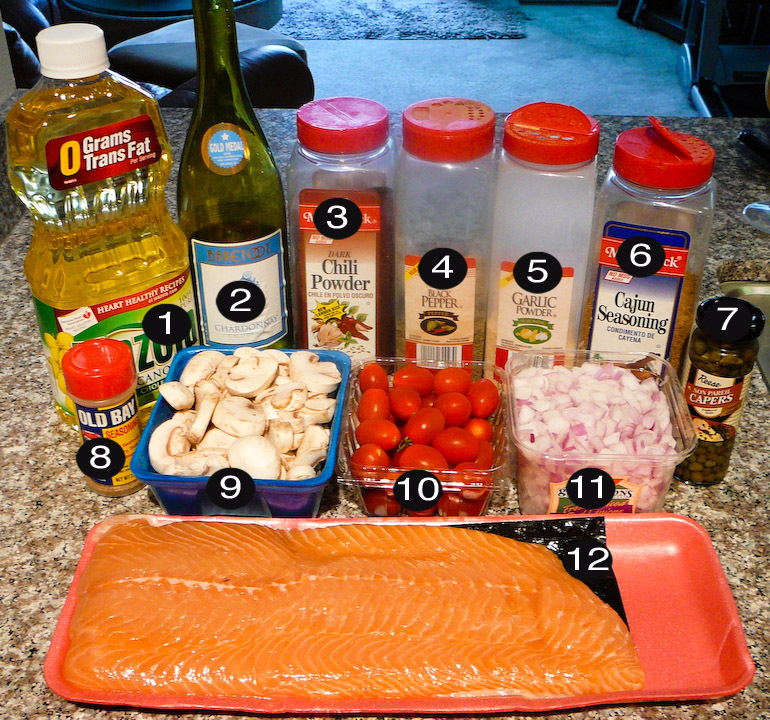 And with that, I give you this epically delicious salmon recipe that will keep you banging on and on and…you get the picture. 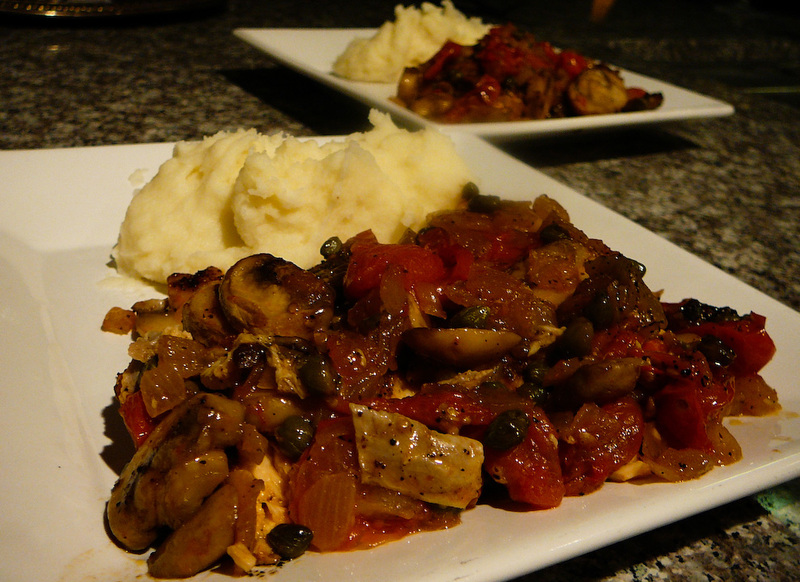 Recipe courtesy of publishing scion STEVE TOBIA. Preheat the oven to broil. Season up the salmon slab on an baking sheet with garlic powder, black pepper, Cajun seasoning and chili powder. Throw the fish in the oven. Create the sauce by sautéing the onions and mushrooms on high heat with 1 tbsp of oil with some black pepper (approx 4 min). Add in the tomatoes and sauté them with the white wine until they get soft (approx 4 min). Use the back of a spoon to pop each cherry…tomato. 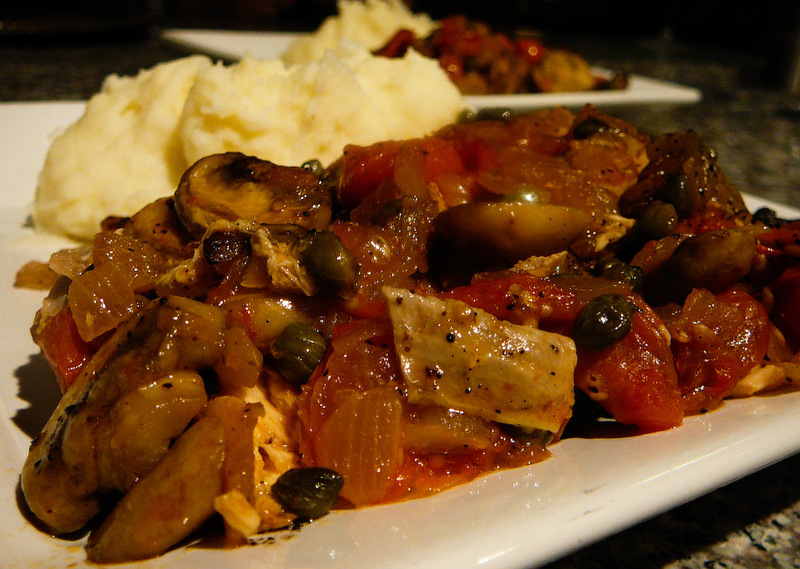 Turn the heat down low and simmer the tomatoes with the capers until the fish is ready. Keep the fish in the oven until the pan is searing hot and the seasoning has blackened on top (approx 20 min). Remove the pan from oven and smother it with the sauce, which will sizzle like crazy. 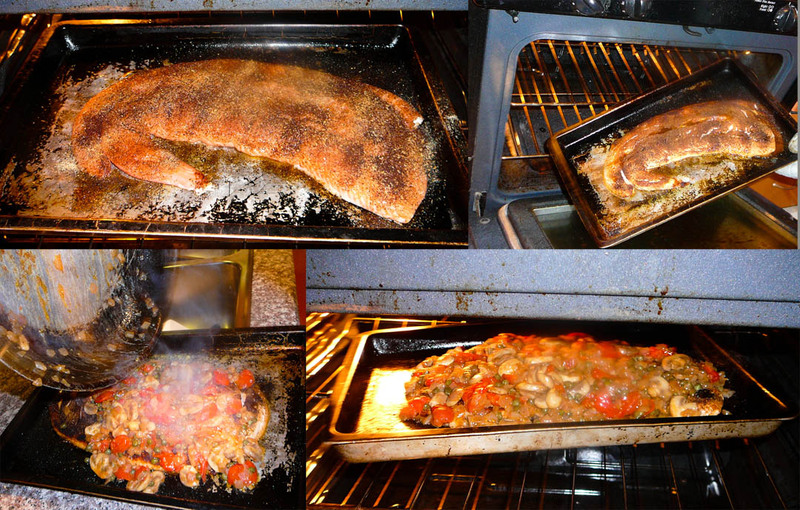 Turn off the heat and throw the fish back into the oven, doors closed and let the sauce settle in (approx 15 min). Serve up on a plate with some GROIN GRABBING GRILLED VEGGIES or GARLIC GOING ON MASHED POTATOES. Woah, that looks good! This whole blog looks great although I am not sure it would want to make me bang because I would be too full! aha ha ha!